In nectarine season, every meal can be fun. 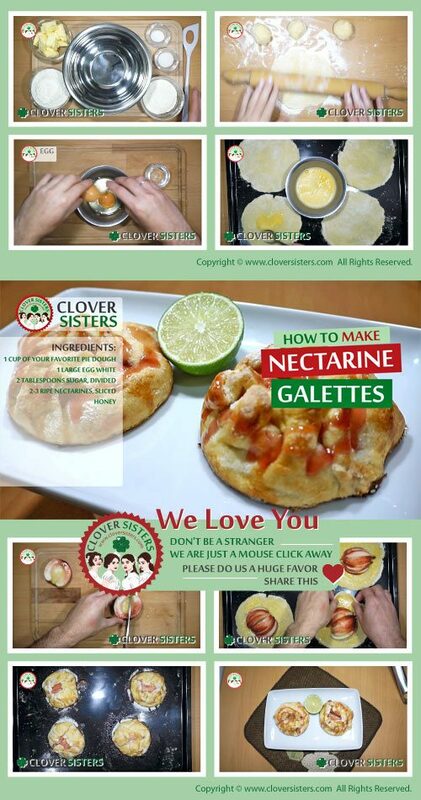 Try this nectarine galettes, they are fun to make for sweet breakfast or afternoon tea snack. Roll out the dough and make circles with round mold. Whisk lightly egg white and water and use it to brash dough circles. Then sprinkle sugar on top of them. Place the nectarine in the center and fold dough to cover it. Brash and sprinkle again. Bake in oven preheated to 400 F (180C) for about 25 minutes.